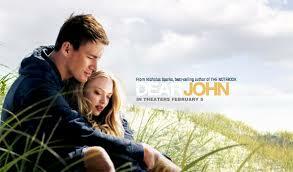 I watched a love story recently, Dear John, a movie adaptation of Nicholas Sparks’ novel of the same title. The movie tells the story of a soldier (played by Channing Tatum) who met college student Savannah (essayed by Amanda Seyfried) at a beach during one summer. After spending time together the whole summer, reality bites them as they go their separate ways (he back to military service, she goes back to school). They promised to write each other, promising the other to “tell everything” they can. And so a lengthy correspondence happens between them during a long period of time, until Savannah breaks off. Heartbroken, John burns all her letters, closing a decisive chapter in his life. What I like about this movie is the exchange of letters between the two characters over a period of time, despite the availability of the internet and mobile technology. But then again, John and Savannah didn’t have a choice, since John’s foreign missions often led him to remote areas where internet connection is poor. And this makes this story very poignant for me. They took time off their respective duties to write. As I had written in my past article, the art of writing letters in longhand is a lost art. More people are turning to faster means of communication, and I don’t blame them. Everything is moving faster in this day and age that we want to pass on information quicker than we can lift a pen. Between young couples today, they prefer sending text messages (even icons!) to evoke feelings and professions of love than, you know, just writing it down on paper and handing it to the person you love. What young people probably do not realize is that writing in longhand shows more sincerity and effort than sending emails. It is more personal, more thought-driven, and for me, sentimental. I will choose a haphazardly written letter every time over a piece of email that has been composed beautifully, font and design included. Sending emails is a cut-and-paste thing. Of course, there are emails that may just be as emotional as a letter done in cursive, but then again, it’s something that’s easier to do. So as much as we can, let’s write letters in longhand. It doesn’t have to be a long composition—a short note will do. It evokes the feeling that you truly care for the person to take the effort to send him a note.